This year, we spent the summer re-hiking a good portion of Oregon’s PCT to survey trail conditions and the aftermath of last year’s wildfires (this will be incorporated into an update for our guidebook, Hiking the PCT: Oregon), as well as backpacking all over Oregon’s Mount Hood and Eagle Cap Wilderness. In addition to our survey work, we used these outings as an opportunity to try out some new trail gear. Here are ten of our favorite items—including a couple tried-and-true faves—that outperformed over the miles for ensuring safe and enjoyable wilderness experiences. The Cloud 35 bag features a sleeping pad sleeve and vented footbox for extra comfort, and weighs just 1.6 pounds. Good sleep is one of our top priorities on all of our long-distance hikes—something we’ve struggled with in traditional mummy bags. 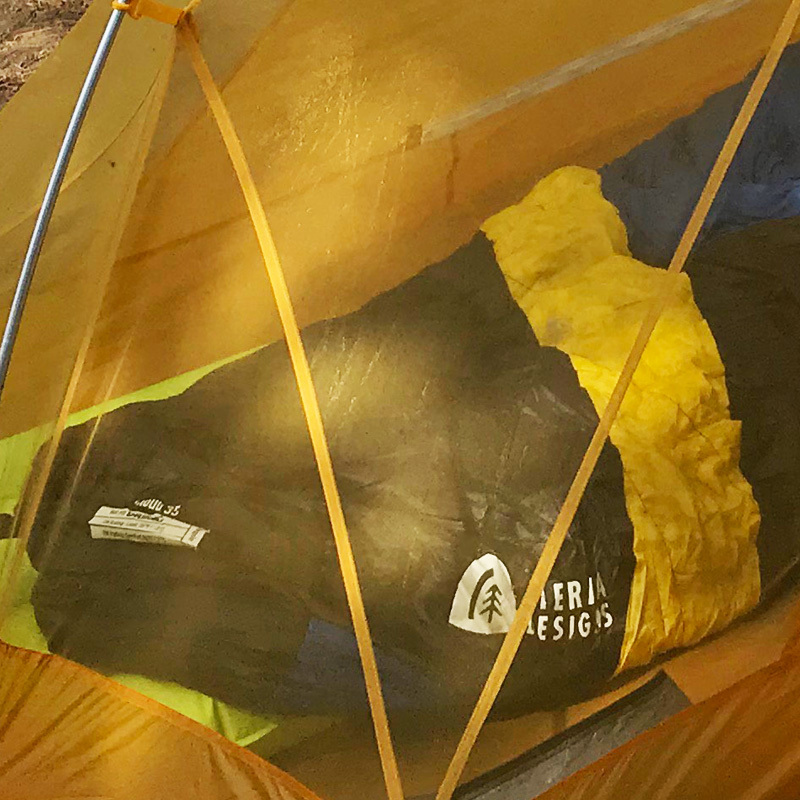 Then a few years ago we switched to Sierra Designs’ Backcountry Bed, an innovative bag design with an open front and blanket-style covering—perfect for side sleepers like us. Oh, the zzzz’s we’ve enjoyed since then. Now it’s gotten even better with this new take on the zipperless bag. Similar to our Backcountry Bed, the 800FP DriDown-filled Cloud 35 Bag employs a quilted front flap that let us move around at will, pull it in close on chilly nights and throw it open on warm nights—just like with our comforter at home. Plus, it features a sleeping pad sleeve and vented footbox for extra comfort and convenience, and weighs just 1.6 pounds. The Tiger Wall UL2 tent features two doors, two vestibules and 28 square feet of living space...and weighs just 2.5 lbs. We’ve been using Big Agnes tents for years for their light weight, durability and ample living space. 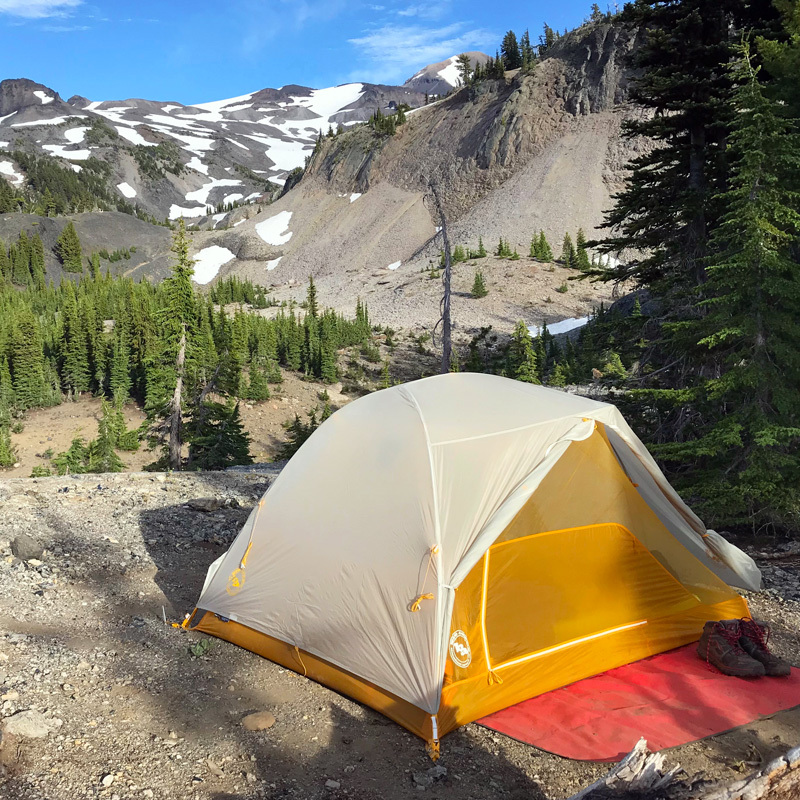 This year, we packed along the Tiger Wall UL2 on our PCT and Wallowas treks and were quite pleased with its performance. Weighing in at just 2.5 pounds (packed weight), this ultralight shelter features two doors, two vestibules and 28 square feet of living space. With two people, it was roomy enough for head-to-head sleeping, without being too cramped, and a little extra space for gear storage. With just one person, it was luxury living with plenty of room to spread out and store gear. It also features three internal pockets that are great for keeping tent essentials handy and organized. We stuffed the whole thing into a small Hyperlite Pod (see next) for packing and we were good to go. 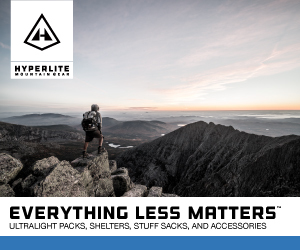 Hyperlite Pods are flexible and shaped to maximize storage capacity, and not leave empty spaces inside your pack. For keeping our gear organized, we ditched our stock stuff sacks and used Hyperlite’s Pods and Pillow Sacks. 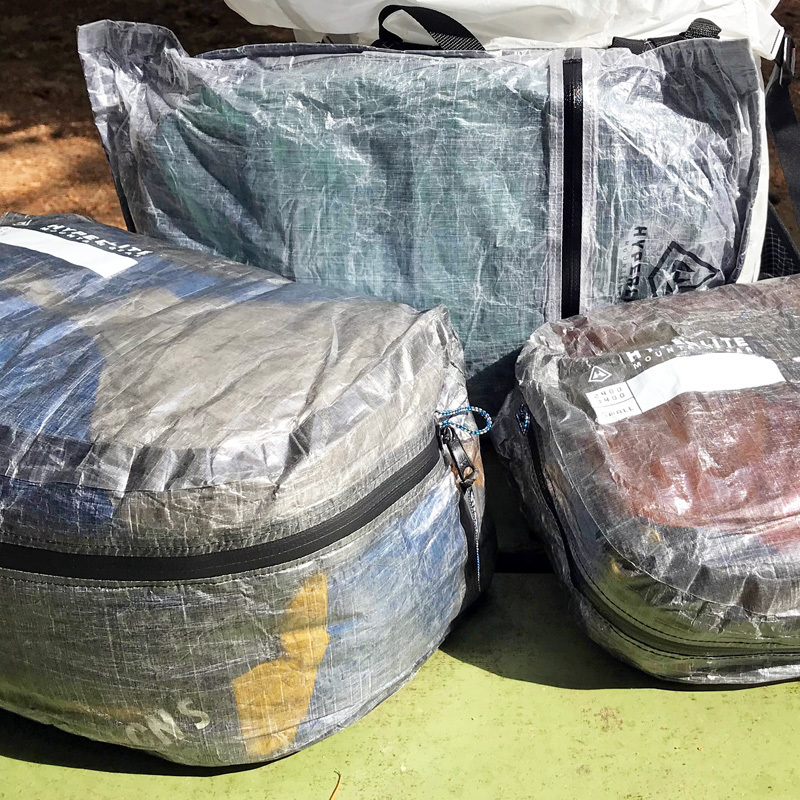 Each sack is constructed of ultra-lightweight Dyneema Composite Fabric, and is waterproof and seam-taped for keeping contents safe from the elements. Plus, they’re flexible and shaped to maximize storage capacity and not leave empty spaces inside your pack. We used the small, 6.8-liter Pod to stuff our tent (including fly and footprint), and the large, 10-liter Pod to stuff our sleeping bag, inflatable pad and sleep clothing. We also used the small Stuff Sack Pillow for our spare clothing and a few personal items. In tent, we just turned this inside out, crammed our puffy inside and enjoyed a soft, Polartec fleece-topped pillow. They’re a bit spendy, but we love these things! Extending the Ascent poles is as easy as unfolding the lower portion, then using the DynaLock latch to set the length. We don’t always use trekking poles, but for some parts of Oregon, they certainly come in handy—especially when crossing wide fields of loose, cindery lava rock, or descending snowy slopes. This year, we carried MSR’s ultralight Ascent Carbon Poles. 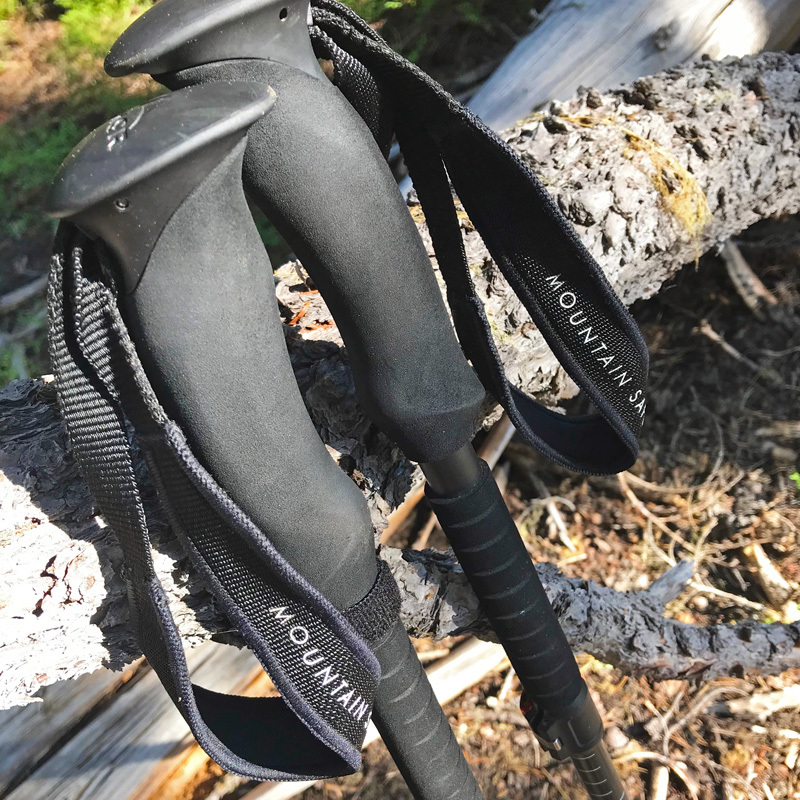 Ironically, our favorite thing about these poles is when we’re not using them: they fold up super-small and fit easily into one of our pack’s side pockets. This keeps them handy for quick access when needed. Extending them was as easy as unfolding the lower portion and snapping into place, then using the DynaLock latch to set the desired length. And at just over a pound for the pair, they didn’t add any significant weight to our pack when stored. When we did employ them, we were able to stay light and agile on the trail, without feeling hampered or clunky. Our Ghost Whisperer Down Puffy is a staple in our packs for everything from long-distance treks to local dayhikes. 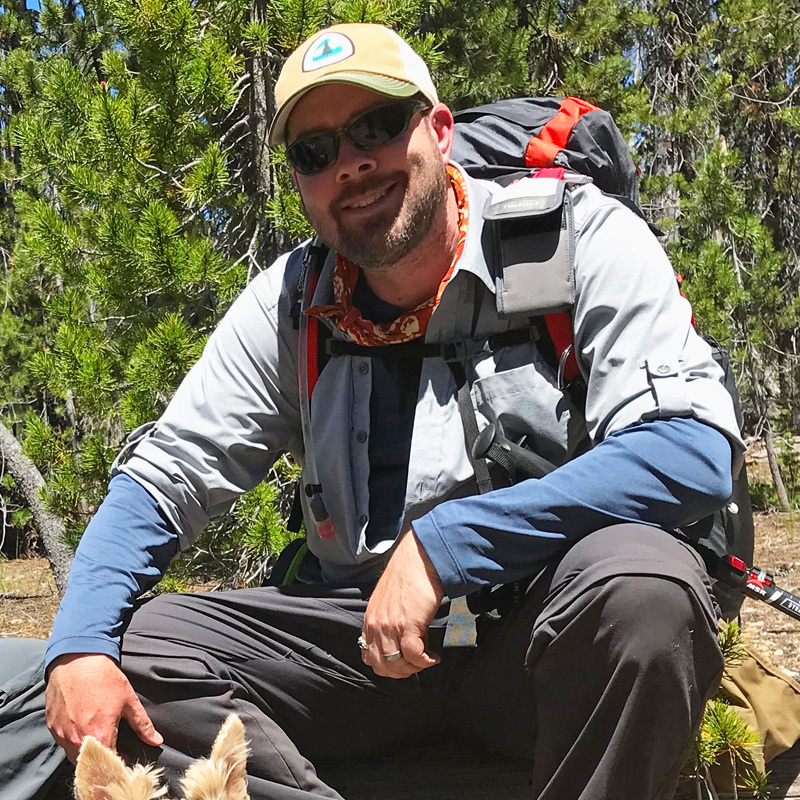 We didn’t actually use it that much on our summer travels this year, with all the warm, dry weather we had, but our Ghost Whisperer Down Puffy is a staple in our packs for everything from long-distance treks to local dayhikes. First off, talk about lightweight—it’s just 7.4 ounces! 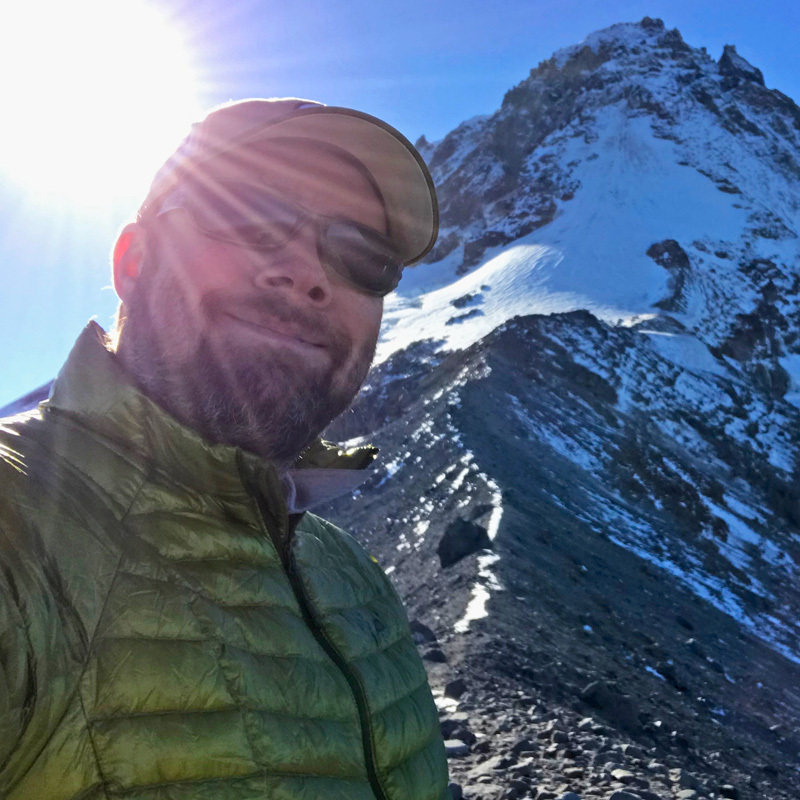 It has a nice, athletic fit which keeps it close enough for maximum warmth and heat retention, while still allowing plenty of freedom of movement, and works great as a layering piece over light- and medium-weight baselayers or under a rain shell. Plus, the 800-fill down insulation is treated with Q.Shield to help it maintain its loft and warmth when wet. When not in use, it stuffs away neatly in its own pocket—which also makes a nice pillow for sleeping on! The Ghost Whisperer is available in both men’s and women’s styles, with and without hoods. Stretchy, abrasion-resistant Zion Convertible Pants provide a relaxed, breathable fit for unrestricted movement. 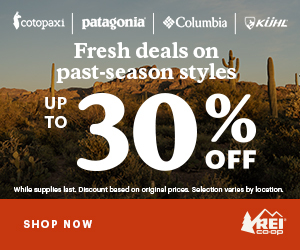 Versatility is key to staying comfortable when hiking the PCT—or any other trail. Summer in the mountains can be hot, cold, wet, dry, etc. So we would be prepared for any weather/temperature conditions, we wore the Zion Convertible Pants on all of our long-distance travels this summer. These stretchy, abrasion-resistant, UPF 50+ climbing pants provide a relaxed, breathable fit, and feature a gusseted, ventilated inseam for unrestricted movement. On cool mornings and evenings, we wore them at full length; on milder days, they’re loose enough to roll up into knickers; on warm days, we turned them into shorts—all in one pair of pants. They feature six pockets for keeping all manner of small items handy, and have a DWR finish for repelling light moisture, but we found them to be pretty quick-drying after getting wet or washing. 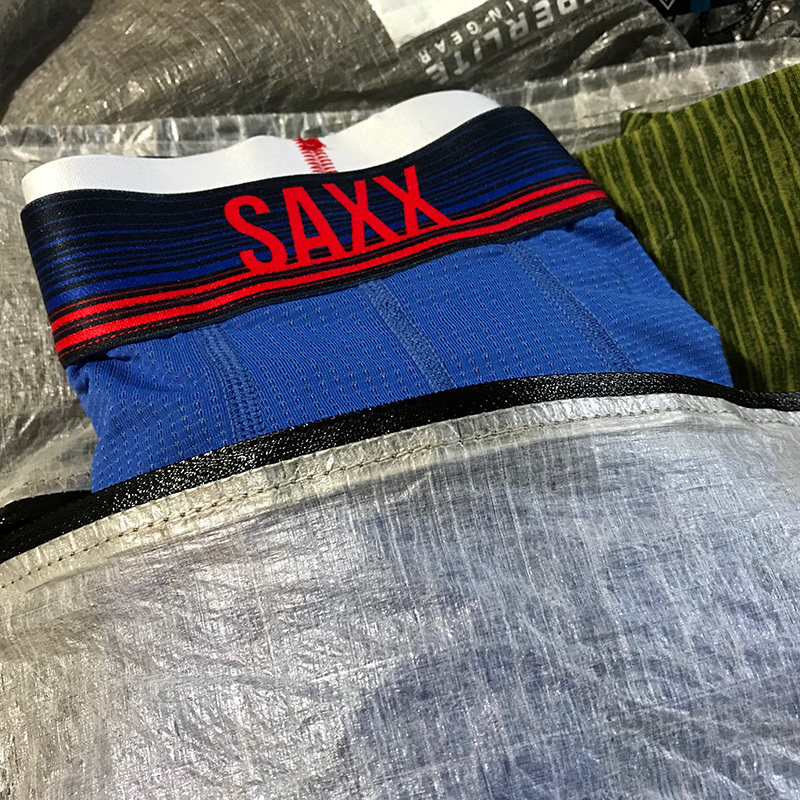 SAXX underwear are made of lightweight, breathable, moisture-wicking mesh fabric to keep things cool and funk-free. If you’ve been following us for a while, you may know how much we love our SAXX underwear. They were a feature in last year’s Must-Haves Gear Guide, and we’re bringing them back again because they’re just that good, being our tried-and-true chonies on all of our hiking trips. 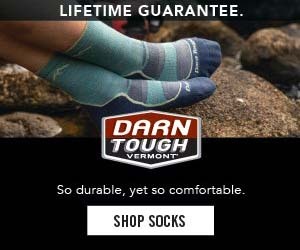 After all, hiking long distances in the same underwear can be pretty rough on the junk—especially when it gets sweaty down there and chafing becomes an issue. That’s why we take care of our tenders in the high-performance Quest 2.0 Boxer. They’re made of lightweight, breathable, moisture-wicking mesh fabric to keep things cool and funk-free down there, and feature SAXX’s patented BallPark Pouch for cradling, not constricting, the goods. Best. Underwear. Ever! Essential Wipes are infused with essential oils to help relax and refresh after a long day on the trail. We used to carry packets of wet wipes on our backpacking trips for easy camp cleanup, but we’ve never really been a fan of these. They’re heavy (being full of liquid-soaked wipes), often leak, and leave a sticky, perfumy residue. This time out, we took along a tube of Essential Wipes—and oh, how much nicer it was to clean up every evening. First, they weigh practically nothing. A tube of 10 wipes weighs just 1.1 ounce. All it takes is a little splash of water to “activate” the wipe into an 8×10-inch moist towelette. They’re infused with essential oils, including lavender and ylang ylang, to help relax and refresh, which is just delightful after a long day on the trail. And with no alcohol or pungent chemicals, a quick wipe-down leaves us feeling clean and revitalized. A must-have for all future hikes! 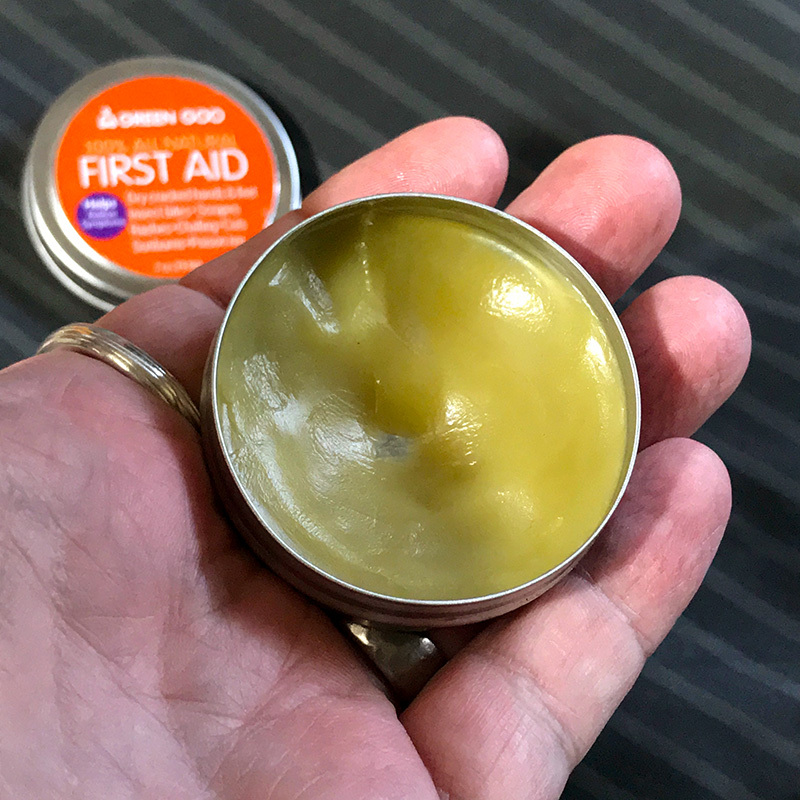 Green Goo First Aid contains only all-natural ingredients and essential oils for cuts, scrapes, blisters and chafing. If you were following our Instagram feed or conditions reports, then you were probably aware of the nightmarish mosquito situation we endured thru much of our PCT journey this summer. Even in long sleeves and pants, headnet and slathered in bug repellent, we still suffered numerous mosquito bites on a daily basis. Our saving grace was our little tin of Green Goo First Aid Salve. 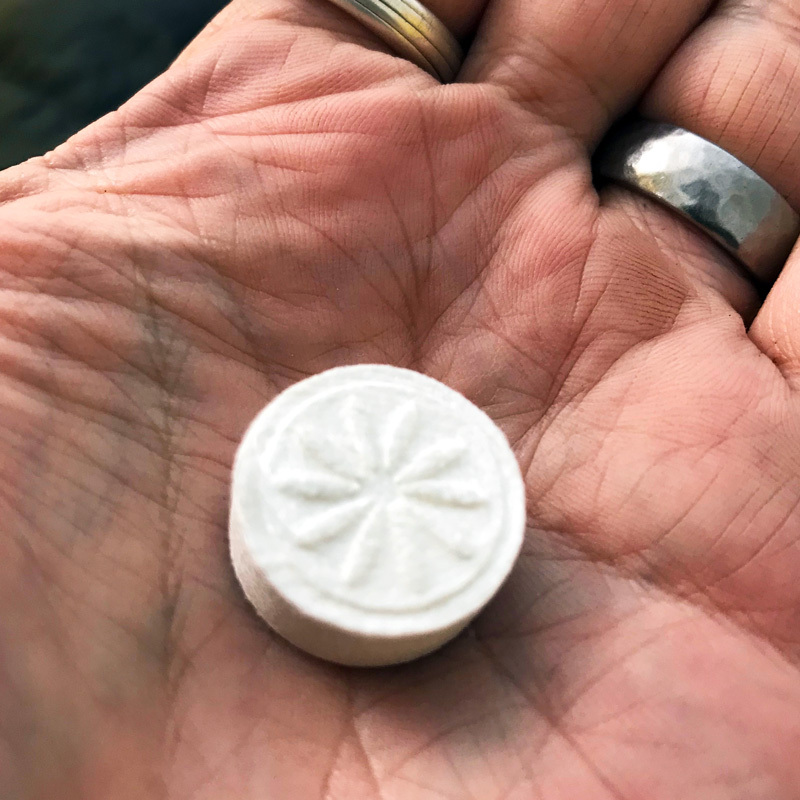 It helped relieve the itch and irritation of our countless bites, reduced inflammation, and accelerated the healing time. Containing only all-natural organic ingredients and essential oils, it also works on cuts and scrapes, blisters, sunburns and chafing. And it’s safe for use on adults, kids and dogs. Add a tin or stick of Green Goo to your own first aid kit. It works! Available in a multi-pack that includes Pain Relief and Skin Repair balms. We pack Moonshine Margarita to enjoy after hard days, or for enhancing perfectly view-packed campsites. 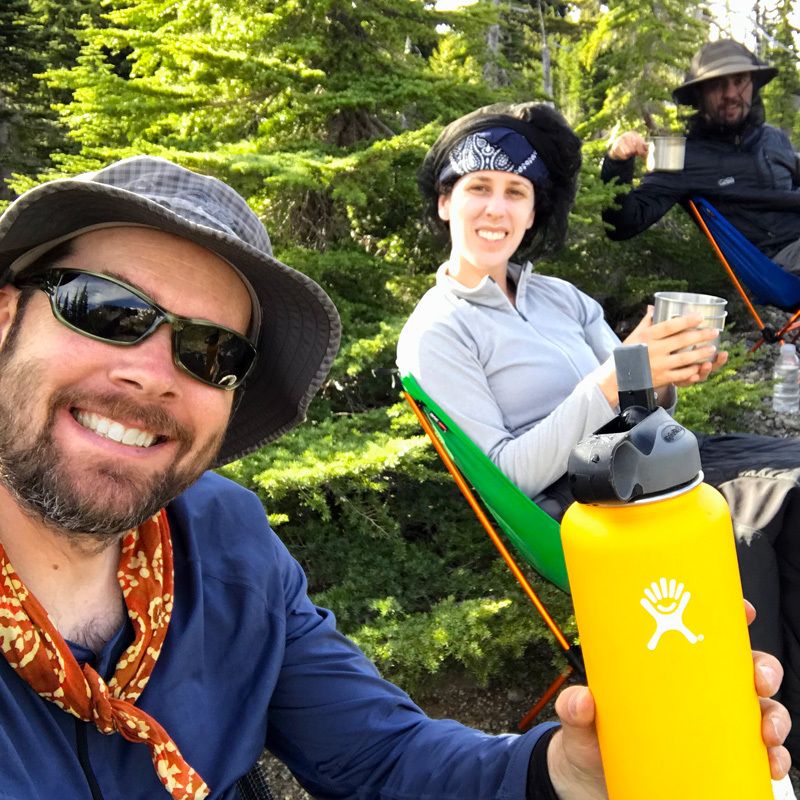 After a long day on trail, there’s nothing like kicking back and enjoying an ice-cold margarita in the backcountry. This Moonshine Margarita mix has been a staple of our backpacking trips for years, and we usually carry a couple to enjoy as rewards after hard days, or for enhancing a perfectly view-packed campsite. Just pour the mix into a bottle of ice-cold water (we reco a good, insulated bottle), add a little BYO tequila, and you’ve got a delicious, limey marg that can make even the hottest, hardest day on trail seem not so bad. Not a tequila fan? Use rum or vodka for an equally refreshing cocktail; or go sans alcohol for a tasty, sweet-tart limeade. Up the ante and go full-on camp happy hour by packing along some tortilla chips and tasty Alpine Aire Spicy Cheddar Bean Dip. Cheers! 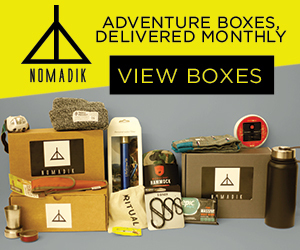 Looking for more great gear selections? Check out this year’s Must-Haves Gift Guide for even more camp comforts and trail conveniences to help make your hiking adventures even more enjoyable! This post contains affiliate links. All purchases made through these links help support the costs and operations of PCT: Oregon. For more information on PCT: Oregon gear reviews and affiliates, click here.